FPL: Five to watch in GW7 – Is it time to turn to Harry Kane? After the midweek Carabao Cup action the Premier League returns this weekend. Once again it is time to pick through the fixtures to try and find a winning formula for your fantasy football team. Pep Guardiola is a nightmare for fantasy football managers everywhere. Aguero netted his fourth goal of the season last weekend, to the delight of the 52% of FPL managers who own him, but he was withdrawn on 60 minutes, curtailing the chance to add to his first half strike. It’s infuriating that he then went on to not feature at all in the League Cup win at Oxford – excatly what is he being rested for? We’ll forgive Pep seeing as Aguero had an ankle complaint the previous week and if nothing else, it surely guarantees Aguero will start at home to Brighton on Saturday and you’d have to back him to net once again. 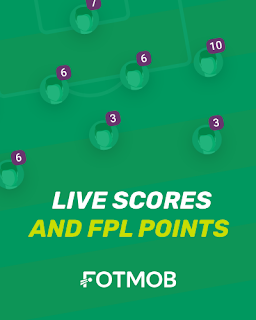 In this, the age of information overload, Fantasy Premier League managers everywhere have been craving the merest hint of an update from a source that, until recently, seemed far too willing to provide them. Having now missed his last four matches in all competitions, the curious case of Benjamin Mendy (MCI, 6.3) continues to plague the FPL community. Pep has been suspiciously guarded when asked about this injury, before it emerged that a bruised fifth metatarsal was to blame. It failed to silence rumours that, in fact, a disciplinary issue and the manager had lost patience with Mendy’s prolific social media activity. 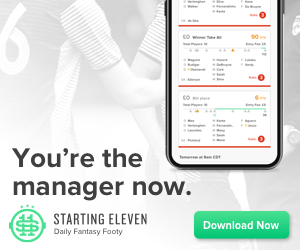 Starting 11 is a new Daily Fantasy Premier League football game and app, which has gained in popularity since last year, as managers get to pick a brand new fantasy team each week, without the headache of managing a season-long team. The most consistent striker in the Premier League will be in familiar surroundings this weekend, as Brighton visit the Etihad. He will be a popular option in all fantasy football formats, no doubt. Aguero’s home form is excellent - he’s returned in every home game, amassing 3 goals and 3 assists. Also, his starting berth looks secure after earning a rest in the EFL Cup. He faces a Brighton defence that has leaked 11 goals to date, and have failed to keep a clean sheet. They’ve also conceded 3 penalties. Aguero should hopefully take his chances and capitalise. One man going quietly about his business this season is Mitrovic - he’s been a crucial player for Fulham and will be key to their survival in the Premier League. Starting 11 managers would do well not to overlook the Premier League’s joint top scorer - 5 goals and 1 assist in the opening six games are impressive numbers. The opposition doesn’t get much better than this: Everton have only managed one win this season, conceding 11 goals and failing to keep a clean sheet. Mitrovic should revel and will be a threat. Despite his recent issues with Mourinho, Pogba should be a safe way into the Manchester United attack in Gameweek 7, especially after he was rested in the EFL Cup on Tuesday. Penalties have been crucial to his output so far, but the underlying numbers are encouraging: he’s had 17 shots in 6 games, including 10 on target and 9 attempted assists. One of those attempted assists delivered last weekend against Wolves and this week it’s a West Ham defence that has looked far from secure - conceding 11 goals across 6 games. Can Pogba get his own back by stealing the headlines with a commanding display? Maddison is the differential option this Saturday, with a tasty looking trip up to Newcastle, where he will be looking to continue his hot streak. With goals in consecutive Premier League games, his form is undisputed. Set pieces have been key so far, with a penalty and a free kick - he’s involved in much of Leicester’s attacking output. The Newcastle defence have struggled this season, particularly at home. They’ve failed to win or keep a clean sheet on home turf, conceding 2 goals in each of the 3 home games, which will benefit Maddison and his teammates. Trippier has multiple opportunities to deliver points this weekend, with attacking returns and clean sheet potential both high on the agenda. He has 1 goal and 2 assists already. In addition, Huddersfield have one of the worst defences in the Premier League, conceding 14 goals since August. Dare I say it - Spurs may as well be handed the clean sheet points right now: Huddersfield have scored a mere 4 goals this season and have yet to find the back of the net at home. It doesn’t get safer than this! Wolves have kept 2 clean sheets in their last 3 games with Doherty also chipping in with an assist. He has taken 9 shots, including 7 on target. The Southampton attack has been particularly goal shy: Danny Ings' form has been hampered by not being able to play in Gameweek 6 and they could struggle against a Wolves team that have put in impressive displays against both Manchester clubs. Manchester City have consecutive clean sheets and will be aiming to keep things tight defensively again on Saturday, as they host Brighton. Ederson has found form and saved 5 shots over the last 2 games. The Brighton attack will struggle to break down this well organised City defence and the Seagulls have also failed to score in 2 of their 3 away games this season. The Starting 11 scoring system favours those keepers who make plenty of saves, so Fabianski is expected to have another strong week against Manchester United. He has made 30 saved since the start of the season. Fantasy foorball managers will be particularly encouraged by the fact that he successfully managed a clean sheet against Chelsea last weekend. Manchester United will provide another tough defensive test, so a clean sheet return may be a tall order, but saves will support his overall points total. This week, in the second half of our holiday pods (Nick's in Cyprus, forgive any audio issues) we're joined by 2014/15 FPL champion Simon March to talk about Behavioural Economics and some basic concepts that impact how we act as FPL managers. Finally, we take some questions from the community, including a bonus, hugely interesting answer from Simon on how he played out his winning season. As we search for some certainty in this short life, Fantasy Premier League is really the last place any of us should be looking. No sooner had Alonso, Mendy and Robertson been ordained as ‘The Holy Trinity’ of premium defenders than all three failed to reward the faithful. Cardiff score their first away goal of the season. Owners of Benjamin Mendy (MCI, 6.5) at least had the consolation of a personal apology from the defender after his absence from the Man City squad - although we’re all still at a loss as to why. Dare to pretend this man is no longer relevant and be punished. Many have sold him on FPL but why would you go without last year’s player of the season on Starting 11? This is surely the week for him to shine, at home to Southampton – some have opted for Mane as an alternative but let’s not forget Mane has never scored against his old club. Salah has gone two Gameweeks without an attacking return, but with seven shots during those two games, goals aren't far away – will you miss out? Everton have looked inconsistent of late, but this week Richarlison returns and he will fancy his chances against Arsenal's porous defence. After scoring three goals during the opening two games of the season, Richarlison was a must own. Can Richalison help Everton start playing football again? An Arsenal defence that has conceded nine goals in five games will certainly help matters. With two goals this season and having created four big chances for his teammates, the Spaniard has reaffirmed his pedigree. Will Cardiff come at Manchester City the way they tried against Chelsea? Silva doesn’t need much space to open up a defence - imagine what he can do if Cardiff are on the counter attack? Cardiff side who have conceded seven goals in two games vs a side who has scored five in two, this will only end one way. Fraser's recent hot form can't be ignored following his two goals and assist against Leicester City last weekend. His performance levels should stand up against Burnley on Saturday. The Clarets have conceded ten goals this season and if it wasn’t for Joe Hart they would have conceded more. The Cherries are full of confidence after a number of positive results and I can't see this ending anytime soon. Robertson is getting closer to the same level as Alonso or Mendy and his performances so far this season have earned him a place in the template‘Power Back 3'. With two assists during his opening five games, the Scotland international's attacking threat can’t be ignored – as well as the three clean sheets to boot. With another assist this week in the Champions' League against PSG, he is showing he can perform against the best and I think he will cause Southampton problems this weekend. It's been a fantastic start to the season for Watford’s wing back. How often are we treated to a defender who gets forward and takes corners? Holebas has not only created four goals this season but scored one too. He even created chances against Manchester United last Saturday. Can Watford keep Fulham out? With Mitrovic on the pitch I’m not too confident, but with Fulham conceding at least two goals in every league game this season I'm confident Holebas can be in with a good chance of getting attacking returns once again. Let’s stack that defence and double up at the back with Allison joining Robertson. Liverpool are going from strength to strength this season and are serious contenders in their bid for their first ever Premier League title. Ings won't be threatening the Liverpool goal - he's ineligible against his parent club. A weakened Southampton attack will make a clean sheet more likely for the Reds this weekend. Last week’s clean sheet for Palace had us talking about Wan-Bisakka again, but goalkeeper Hennessey deserves credit for the number of saves he is making this season – including a penalty. Those twenty saves to date have earned Crystal Palace two clean sheets. Their opponents this weekend are Newcastle, who despite an improvement in performances lately, have still failed to win a game all season. This week, with Tom on holiday (please forgive the rougher cut than usual), we talk team value a little bit but mostly talk about Nick's wildcard which hopefully is useful to those with the big chip active. After all the agonising among Fantasy Premier League managers over who should replace the suspended Richarlison, Gameweek 4 left us with one demoralising conclusion - we never should have sold him in the first place. In retrospect, the Walcott debacle had an air of inevitability about it, although the speed at which it arrived was really something special, even by his standards. He wasn’t the only letdown. Henrikh Mkhitaryan (ARS, 7.2) was another popular pick - his new devotees got a one-point cameo for their troubles. Even Pedro (CHE, 6.8) owners were made to sweat for his points after Willian started against Bournemouth. In the meantime, Richarlison (EVE, 6.6) went about transforming himself into Brazil’s new golden boy as he prepares to take on Arsenal’s absentee full-backs in GW6. “Bang Average” is a Fantasy Football podcast covering both #FPL and draft versions of the game for the Premier League. Hosted by John (@FantasyGaffer) Mike (@BangAverageMike) and myself Ryan (@FantasyYIRMA) we cover everything Football, Fantasy and elite level Nonsense. Typically it starts out with good intentions and goes downhill from there. With the International Break behind us thankfully we can look ahead to the return of the Premier League. On this week’s podcast, Mike unveils his plans for "Total Football" a new fantasy format where he combines players from the Premier League and the NFL to create a cumulative score and confuse Ryan to no end who openly admits that Tom Brady is the extent of his American Football knowledge. Following that - there's some fairly solid FPL / Draft content. Ryan has zero understanding of the new Nations League format. Alternatively - You can Listen on iTunes and probably 20 other places also - If you can't find us on your podcast player of choice, let me know. Happy to give Mike more work. Well we didn’t see the much anticipated avalanche of goals against Newcastle for Aguero. However his home record speaks for itself and I have no concerns about him being my safe pick once again. I have been impressed with Fulham’s start to the season, especially with the fact that they are not afraid to take the game to their opponents. This does though mean they are vulnerable at the back. They have conceded nine goals already this season. Fulham beware - he has had his rest over the international break. Aguero will be my captain on Starting 11 this week. Callum Wilson is looking full of confidence and leads the way this season with 14 shots inside the box, more than any other player this season. Those shots have converted into two goals since August to complete his three assists. This week Bournemouth take on Leicester City, who have had a decent start to the season but have only kept one clean sheet during their opening four games. It's fair to say Ramsey is safe pick of sorts from Arsenal's attackers. For now at least, he seems to have nailed down that number 10 position forcing Mkhitaryan and Ozil into wider positions. Of course, he has no attacking returns as of yet, but having taken four shots and registering six key passes during his last two games, the signs are that they are coming. Get onboard before everyone else does! Newcastle showed some signs of improvement against Manchester City but have failed to win any of their opening four games, which bodes well for Ramsey and his teammates. It may be unusual to pick a player who is taking on Manchester City, however they have only kept one clean sheet so far this season. Schurrle has taken an impressive 15 shots during his last two games, scoring twice. Fulham aren’t afraid to attack and though I think Manchester City will win, I can see Fulham scoring. Can you make it through a Gameweek without owning Alonso and keeping your nerves intact? I know it would be too stressful for me. With 12 shots already this season, more than Aubameyang or Kane – Alonso has continued to fulfil his reputation as a de facto winger with the ability to keep clean sheets. With 1 goal and 5 assists so far this season, not to mention hitting the post twice – a home game against Cardiff makes him one of the first names in my Starting 11 line-up. Can Watford do a Leicester and win the Premier League? Maybe not, but it’s been a fantastic start to the season for them. However they have a stern test against Manchester United this weekend. Holebas is in fantastic form, playing in an advanced role and has managed to pick up four assists (as well as a goal) from his opening four games. After an upturn in form I do expect Manchester United to score, but they will not have things all their own way and Watford will take the game to them. A home tie against Cardiff? That’s a fixture crying out for a Chelsea stack at the back in Starting XI. Cardiff finally scored their first goals of the season during Gameweek 4, although that was against a poor Arsenal defence. Prior to that they failed to score during their opening three games. With two clean sheets so far, having made seven saves in the process – I expect us to see some clean sheet points this weekend for Chelsea's back line. Whether it was the Europa League distraction or not, the fact remains that Burnley have only scored three times this season – sitting second from bottom in the Premier League with only one point. Enter Wolves and their goalkeeper Patricio, a clean sheet during Gameweek 4 against West Ham – not to mention only conceding once to Manchester City in a 1-1 draw the week before. I can see Wolves building on these performances, continuing where they left off with a win this weekend over Burnley. This week, a "Feature" podcast looks at the impact of the European football (in the guises of the Champions and Europa Leagues) on the prospects of the Top 6 (Arsenal, Chelsea, Liverpool, Man City, Man United and Spurs) and talk about some of the key men in those sides.